Maxon has released Cinebench R20, the first update to the free hardware benchmarking tool in five years. The release moves Cinebench to the same core rendering architecture as Cinema 4D R20, and increases the complexity of the test scene to properly stress modern CPUs, but removes its GPU benchmark entirely. For over a decade, Cinebench has been a standard tool in benchmarking graphics hardware, both for individual users looking to test their systems, and for professional reviewers. Even CG Channel’s own hardware reviewer, Jason Lewis – not generally a fan of synthetic benchmarks – uses it in his workstation tests: the sole synthetic benchmark he includes. Cinebench uses the same core rendering architecture as Cinema 4D, Maxon’s 3D modelling and animation software, with the latest release bringing it in line with 2018’s Cinema 4D R20. That implements newer CPU rendering architectures, including Intel’s Embree ray tracing technology. The update also increases the size of the test scene – it requires around 8x the computational power and 4x the RAM to render as Cinebench R15 – which should provide a better test for modern, highly threaded CPUs. According to Maxon, Cinebench R20 also improves accuracy when testing if a machine runs stably on a high CPU load, or if its cooling solution is adequate for longer rendering jobs. However, the update also removes Cinebench’s old GPU benchmark, meaning that it is no longer possible to use it to benchmark GPU compute performance. The omission is interesting, given that Cinema 4D now includes its own native GPU render engine, in the shape of an integrated version of AMD’s Radeon ProRender. 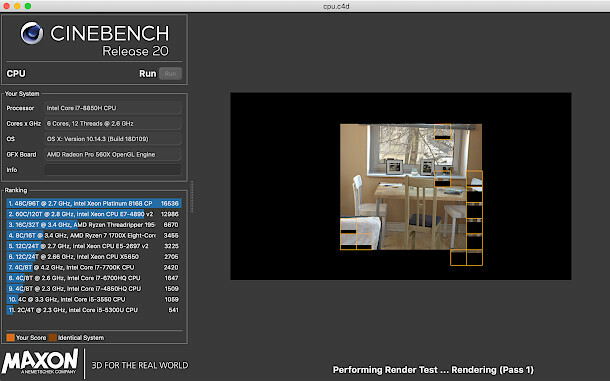 Cinebench R20 is available free for 64-bit Windows 7 SP1+ and Mac OS X 10.11.6+. 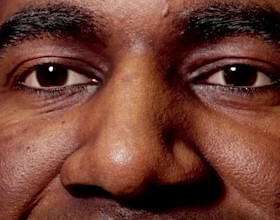 It runs on both Intel and AMD GPUs, and requires at least 4GB of system RAM.